There comes a time when leaders have to do some form of stock-taking. There is also time for those who are led to acknowledge and appreciate the good and exemplary works of their leaders. For the President of the Senate of Nigeria, Chief David Mark and his dutiful deputy, Chief Ike Ekweremadu, this is the time to assess their leadership, give them the necessary and inspiring part on the back and allow them to finish the good work they have started.At no time in the history of Nigeria’s constitutionalism and democratic republicanism has the Country been so blessed with pre-active and dedicated leaders as now in the apex legislative body, the Senate. The senate is the apex of what may be described as the legislative pyramid in Nigeria. It sits atop all the legislative organs of Government in Nigeria. Naturally, the senate is the boding legislative organ in the country. The Senate is expected to serve as a leading and a beacon of sorts to other legislatures. In most advance democracies, Senators are statesmen with a track-record of achievements and services to their people. By reason of their position, they exert tremendous influence on Government policies and enact laws which promote the general welfare and well-being of their people. It can be safely stated that the Senate under the distinguished and able leadership of Chief Mark and Chief Ekeremadu has lived up to expectation. The President and Deputy President of the Senate have given the Nigerian Senate a distinctive and mature leadership in the last four years. In the period under review, that is from 2007 to 2011, the Nigerian Senate has assumed its rightful place as a bastion of democracy in the country. The Senate has indeed been a distinguished body of statesmen who are known to have played significant roles promoting peace Unity and well-being of Nigerians. Previously, the Senate leadership was nothing to write home about. During the years of Obasnjo’s Presidency, the Senate produced at least five Senate Presidents. All the Presidents of the Senate were impeached except two. There was a strange relationship between a Senate President and banana peels. Intrigues, infighting, back-biting, acrimony, recrimination and selfishness characterized the Presidency of the Senate. Many Senate Presidents were disgraced out of office. Whilst other legislative bodies were enjoying relative stability in their leadership, the Senate became an exception and an aberration with its leaders tumbling down from their Olympian heights no sooner than they assumed office. There were allegation of bags of money being shared in the Senate to facilitate the removal or impeachment of its leaders. Thankfully, those bad old days are gone. The Senate is now calm, working and functional. The Senate has enjoyed a rather stable and result oriented leadership under Senators Mark and Ekweremadu. Indeed, the Senate has never had it so good since the inception of constitutional democracy in 1999. Senators Mark and Ekweremadu have successfully given the Senate a distinctive feature of character, integrity, forbearance and seriousness. The Senate leadership has carried all the Senators along and they have enjoyed the loyalty, respect and admiration of distinguished Senators. 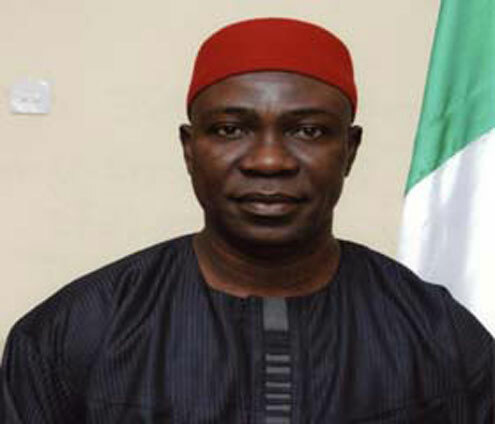 The duo of Mark and Ekweremadu have steered the affairs of the Senate with dexterity. There have been no bickering about the composition of committees and their chairmen. All the geo-graphical zones have been fully represented in all the committees. Beside, the creed of geographical spread, without sacrificing the merits, guiding the appointment of Chairmen of Senate Committees. The Senate leadership has restrained itself from any muscle-flexing and tussle for power with the executive. In the past, the enormous impression was created that the more combatant and aggressive the legislature was in its relationship with the executive, the more functional and proactive that legislature is the present leadership of the Senate has by its charismatic and positive leadership and governance taken this theory to the cleaners, the lesson is that the legislature is only but a partner in the business of government with the executive. The legislature need not put on boxing gloves, in combat with the executive to show that it is not a rubberstamp. Senators David Mark and Ike Ekweremadu, have by shear wisdom, intelligence and savvy impacted positively on governance in the country. They have in-fact made invaluable contributions towards the task of moving our dear country forward.The Senate has performed creditably and meritoriously under Mark and Ekweremadu. The quality of debates has been unassailable and unprecedented in the history of this country, laws which will help in the speedy growth and development of the country and promote the welfare of Nigerians have been passed by the Senate. The Senate has ably discharged it, duties as the number one legislature in the land. Mention must be made of the solid decisions in the Senate during the last and terminal days of the Yar’Adua Administration. The Senate intervened to save the country from constitutional and political crisis by formulating the doctrine of necessity and enthroning President Goodluck Jonathan as the acting President of the country. This decision was a middle course between those calling for the outright impeachment of late President Yar’Adua on grounds of physical incapacity and those who wanted the retention of the status quo – that is keeping the whole country fussing with no one at the helm of affairs. The salutary effect of this decision by the senate on the unity and stability of the country was unquantifiable as the nation was then tottering and heading dangerously for the precipice. The Senate under Chief David Mark and Chief Ike Ekweremadu has lived up to its billing as the numero uno in the legislative business in the country. Senators have powers themselves to be statesmen and responsible Nigerians. While their colleagues in the lower house regularly bicker over allowances and salaries, the senate leadership has ensured that such dirty skeletons are not found in its cupboard. There have been no instances of senators turning themselves into punching bags on the floor of the senate and removing their cloths in full public glare and under television lights. We have not seen Senators heading to the Senate President table to take the mace. We have not witnessed intemperate debates, name-calling and tension in the senate. We have not seen the Senate leadership withholding salaries and allowances of their colleagues because they took the legitimate and constitutional step of challenging the actions of the leaders in court. Senators Mark and Ekweremadu have not displayed any arrogance in their leadership. They appreciate the fact that they are Senators first and foremost and that they are equal to their colleagues. The Senate used to have some haughty and arrogant leaders who talked down on their colleagues in the past. The present leadership represent a radical departure from this arrogance spree. For having given the Senate it’s rightful place as the number one legislative chamber in the country, for uplifting and consolidating the image, integrity of the Senate and for ensuring effective partnership between the Senate and other arms of government. The duo of Chief David Mark and Chief Ike Ekweremadu should be allowed to continue the good work they are doing for the unity and cooperate existence of our dear country Nigeria.